Parents- Take part in a parenting study by one of today’s leading family experts. Based on his book, Raising Kids For True Greatness, Dr. Tim Kimmel gives parents a strategy that enables a parent to connect to a child's heart in a way that empowers that child to live a life that makes an eternal difference. Aiming Your Child at True Greatness will help you raise a grateful, generous child, equipped to answer the most important questions in life. Parents- Most parents want their kids to be successful. But what if there was something even better than success? There is! We call it “True Greatness”. 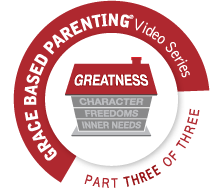 This video study will show you as a parent how to raise kids who are focused on others and God instead of solely on themselves. When you raise kids who are humble, generous, grateful and serve others, your house will be a place everyone wants to come home to. 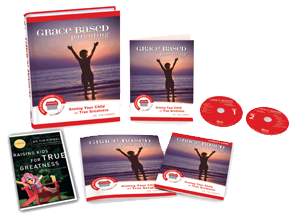 Based on the Book Raising Kids for True Greatness, Aiming Your Child at True Greatness will show a different definition of success, one that will lead your children to live meaningful lives that make a genuine difference. You want only the best for your kids. And you want them to be successful. Sure, there’s nothing wrong with that. But what if there was something more? Could your definition of success be leaving out the most important part?